James (Giacomo) DeSpirt was born and raised in Fanna, Italy, a small town in the northeast. This part of Italy is still well known for its mosaic schools which are internationally renowned. There, James began his study of mosaics and continued his education in Paris. The method of laying mosaics was an art and required tedious hours of laying ¾” marble cubes called Tesserae that were ground to form smooth decorative surfaces. Mosaic work was highly valued and the men who were trained as mosaic artisans were sought after worldwide. This is what brought James to the United States. He landed in New York City in the 1880s at the beginning of an extraordinary era that to this day still provides beauty and elegance to American architecture. In the late 1880s he came to Buffalo, NY where his trade flourished. James and a businessman named Giles Marchezzini began the Italian Mosaic and Marble Company. Inc., a loose federation of companies that had locations from New York City to Montreal Quebec. 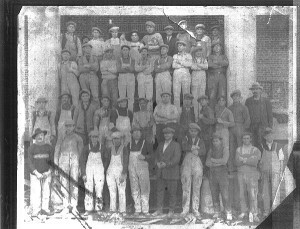 The Italian Mosaic and Marble Co. Inc. employed many of James’ family members including his three sons Attilio, Giles, and Emil, and his cousin Harry (Enrico) DeSpirt in Montreal. 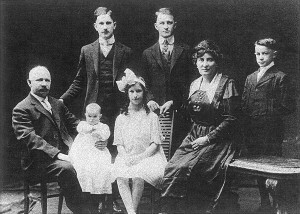 Giles Marchezzini had no immediate family to take over his portion of the business so the DeSpirt family bought his share of the company. The company changed its name to DeSpirt Mosaic & Marble Co., Inc. at the start of World War II once the United States declared war against Italy. The Buffalo DeSpirts operated both the Buffalo and Toronto operations. In time, Giles emigrated to Canada and spent his career with the business in Toronto. James passed away in the early twenties and the Buffalo operation was headed up by Attilio and Emil for over 50 years. Meanwhile the Canadian operations continued with early icon projects such as the Sacre Coeur Hospital in Montreal and the Royal York Hotel in Toronto, just to name a couple. 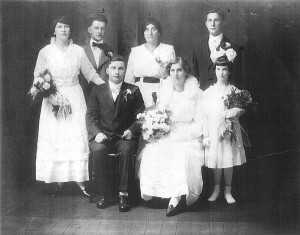 In 1921, the Buffalo operation had outgrown its original Church Street facility and the family moved its operations to 1085 E. Delavan Ave., a facility it built then, and where it remains to this day, still owned and operated by the DeSpirt family. Additions were made in time to accommodate growth. Elements of the original structure have been preserved in the original dock bays, the huge “I” beam wood design, and the majestic skylights which can still be seen in the interior of the building. After World War II, DeSpirt Mosaic & Marble remained busy with the post-war boom in Buffalo and the western end of the State. DeSpirt was contracted to do work in numerous well-known Buffalo buildings including Veterans Hospital, department stores such as LL Berger’s and AM&A’s, office buildings such as 1 M&T Plaza, Marine Midland Center, and many buildings at SUNY @ Buffalo. Older buildings of note include Buffalo City Hall and the Ellicott Square Building. To this day, one will find original mosaics, tile and terrazzo installed by DeSpirt throughout the City of Buffalo and Western New York. An abbreviated list of recent projects include the Buffalo Niagara International Airport, the Niagara Falls International Airport, the Seneca Niagara Casino, the Seneca Niagara Hotel and spa, the Buffalo Creek Casino, Alleghany Casino and Hotel, the Hauptman-Woodward Research Institute, renovation of many of the City of Buffalo Schools, the U.S. Federal Courthouse, the Tishman Building, The Buffalo Life Sciences Complex, and the new addition and renovation of the Factory Outlet Mall in Niagara Falls.